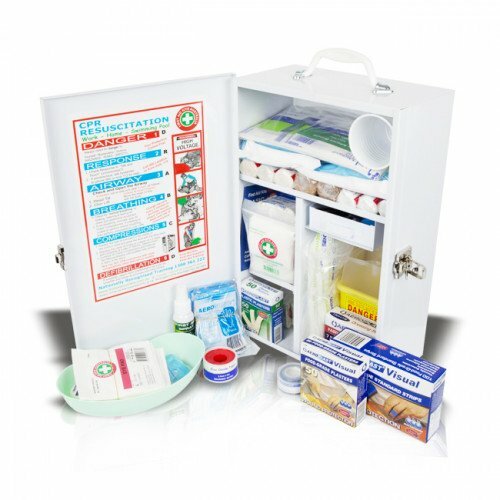 Our K805 Food Industry Compliant Wall-Mountable First Aid Kit has the very best first aid products and housed in a durable powder-coated metal cabinet. 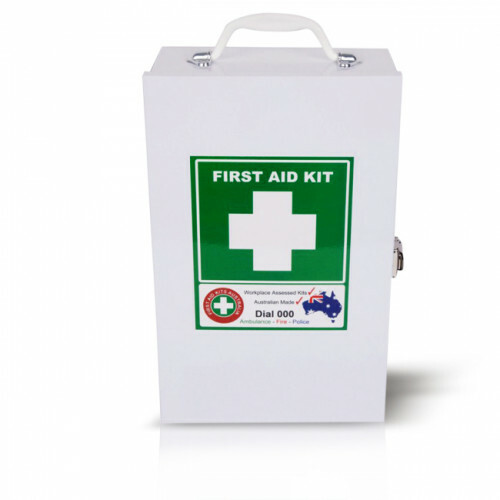 It contains blue visual dressings, adhesive tape, gloves and additional burn and eye treatments to cover most incidents that will occur in a commercial kitchen. 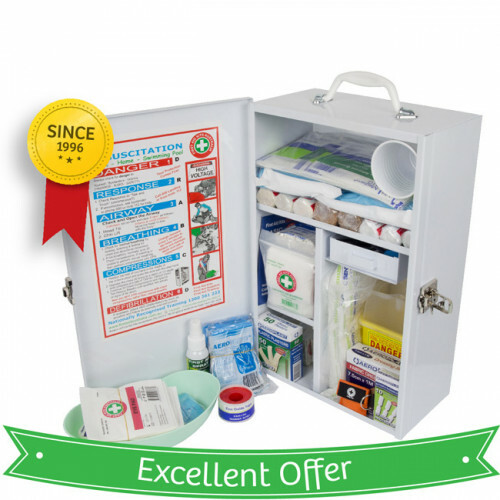 The K805 First Aid Kit provides the contents to cover for both Low and High risk kitchens. It is the perfect choice for medium sized commercial kitchens, restaurants and cafes.